There are many different flowers that blossom only after the sun goes down. They depend on night flying insects, such as moths, to aid in their pollination. Night blooming flowers come in many different colors, like purple, light blue, pink, yellow and white, and many have intoxicating fragrances that waft through the air in the darkness of night. Moonflowers are the most well known night flower. The five-pointed star configuration of petals open in about one minute flat when the sun goes down. They have been referred to as witches weed by Hawthorne in "The Scarlet Letter," or as angel’s wings and devil’s wings. The flowers are bright white with a fruity fragrance. Four O’clock flowers start to open around 4:00 p.m. every day, hence the name. The flowers are small and lily-shaped, and the plants are bushy with green leaves. The flowers appear in bright pinks, reds, oranges and yellows and change color with maturity. It is not unusual to find a bush with all different colors of flowers. Do not let the wilted daytime appearance of evening stock fool the mind. At night they perk up, and the blossoms open into star-shaped flowers in pink, white and purple. 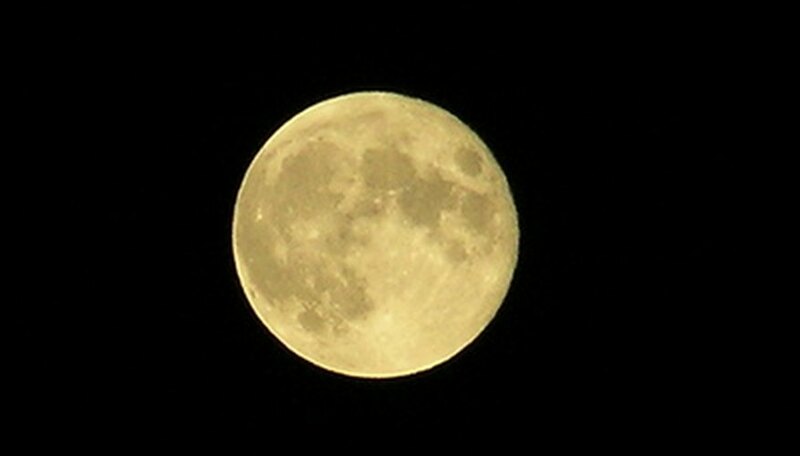 The spicy scent peaks around midnight. 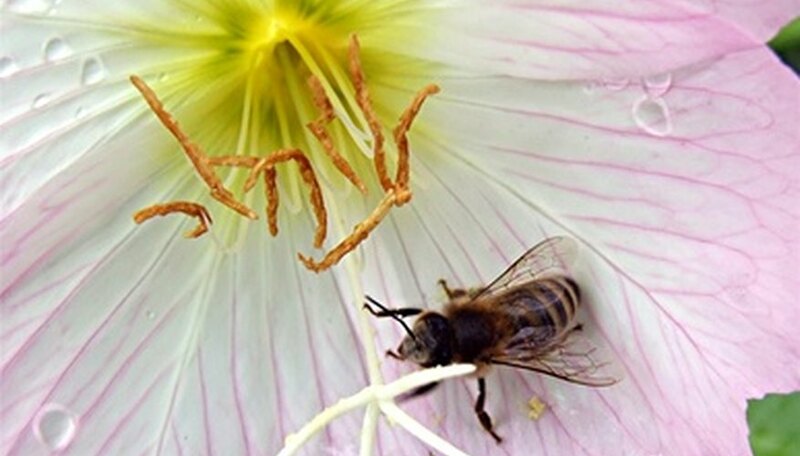 Evening primrose comes in white, yellow or pink, and the flowers resemble large buttercups. The blooms smell sweet, and the flower spreads on a thin vine-like stem with green leaves. These flowers look almost iridescent in the moonlight. 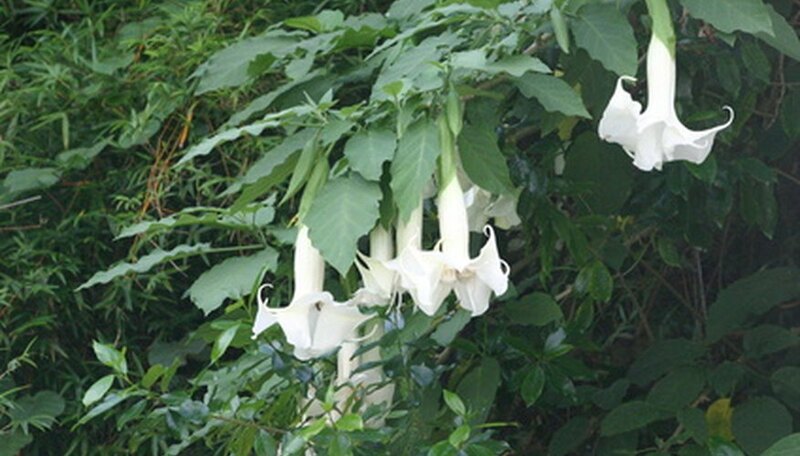 This plant is also called Datura, and the white flowers can sometimes exceed 6 inches across. They bloom at night from midsummer to the first frost. The whole plant is tall at about 4 feet, and the foliage is a delightful blue green. This plant is poisonous if eaten, so keep children and pets away from it. 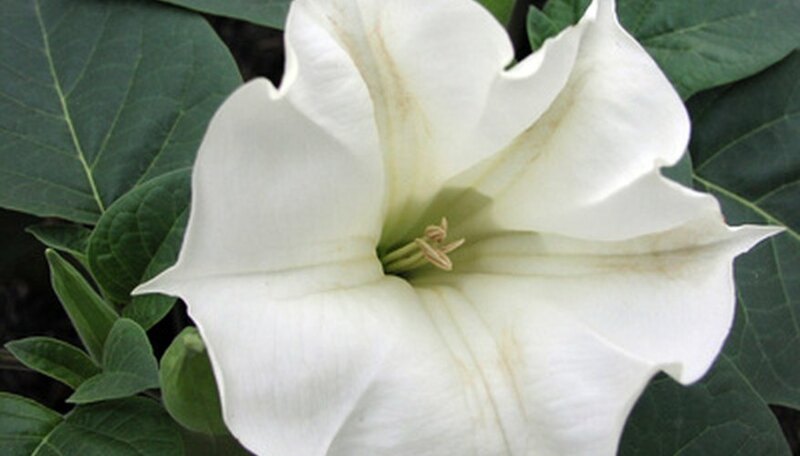 Flowering tobacco is also called Nicotiana, and the long trumpet-shaped blooms in white to blue are attractive in the moonlight. The scent is very intoxicating and travels for several yards. Mock orange is a shrub that can grow up to 10 feet in height. It has a short-lived blooming period in May and June, but the blooms are well worth it. They are white and orange-scented. It only blooms at night.